A little over a year and a half ago, Mascoma, which is a startup with aims to make next-generation cellulosic ethanol, filed to go public in a potentially $100 million IPO. In an article entitled “Some red flags and numbers in Mascoma’s IPO filing,” back then I detailed why that seemed like a strange choice given its weak financials, such as the fact that at the time government grants made up 86 percent of Mascoma’s total revenue. So whatever happened to that IPO? 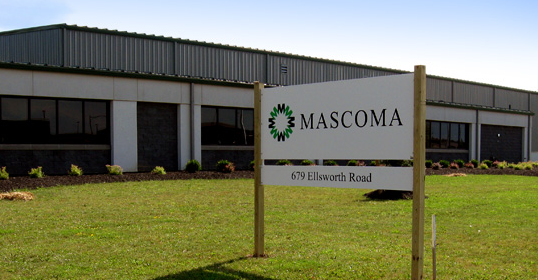 Last week, Mascoma quietly withdrew its IPO plans. The company cited “market conditions,” for the move, though the macro IPO market conditions seem a little better in 2013 than 2012. Already this year smart grid company Silver Spring Networks went public, and late last year solar installer SolarCity made it out. Mascoma currently makes a next-generation yeast that it sells to corn ethanol makers to help them cut the costs of making corn ethanol. That’s what made up the other 14 percent of its revenues (the part that wasn’t grants) at the time of its IPO-filing. But Mascoma’s real aim is to use its technology to make cellulosic ethanol — a next-gen type of ethanol that uses plant waste (not corn) — and the company wanted to do that using wood waste in a factory in Michigan. Many companies have tried to make cellulosic ethanol at scale in recent years and failed. Before pulling its IPO, Mascoma raised two rounds of a few millions of dollars in debt over the past six months. That’s not the typical behavior of a company on the upswing getting ready to go public. And over the past year and a half, as Mascoma amended its S-1 every once in awhile, its finances didn’t improve. The latest revenue numbers from March 2012 — a year ago — said that government grants and awards then constituted 93 percent of its revenue while sales of its equipment and services made up 6 percent of revenue. So the percentage of grants disturbingly actually rose over the 6 months from its first filing, rather than dropped, and its percentage of sales from real products fell. Mascoma over the years has raised a lot of money from both venture capitalists, strategic corporations and public funds. At least over $100 million in private capital from companies like Khosla Ventures, SunOpta, GM, Marathon Oil, Khosla Ventures, Flagship Ventures, Atlas Venture, General Catalyst Partners, Kleiner Perkins Caufield & Byers, Vantage Point Venture Partners, and Pinnacle Ventures. The company was founded in 2005 from research from a Dartmouth Professor, Lee Rybeck Lynd. Public funds have also been awarded and sometimes allocated for its projects. The Department of Energy awarded it $80 million to help it build Kinross, though its unclear if Mascoma actually drew down on those funds. The state of Michigan also offered Mascoma a $20 million grant to build the factory in Michigan. At some point in 2012, Mascoma had been hoping to start construction on its factory in Kinross, Michigan that could eventually produce 20 million gallons per year of cellulosic ethanol. The company had wanted that to happen before the end of 2012, with operations starting in 2014. An article in Michigan Capital Confidential from the summer of 2012 quotes a financing partner of Mascoma’s, Frontier’s VP of Operations, Ken Nielsen, who said that the company expects to “start construction by the end of the year .” Mascoma managed to secure (in December 2011) an agreement with Valero to help it build that factory, but it’s unclear how much Valero was willing to put up to finance this project. As of March 2013, it’s unclear if Mascoma ever broke ground on that facility, or if it hasn’t when it will. I’ve reached out to the company and am waiting to hear back. You can bet if they did start construction, they’d have sent out a press release on it across the internets. Instead, vaguely, Mascoma’s website still says the Kinross facility is “planned” and anticipated to go under construction in 3 to 6 months (the same time line it used a year ago).